Our Bourbon Smoked Sesame Seeds are slow smoked by hand with barrel wood from Kentucky's finest bourbon distilleries! 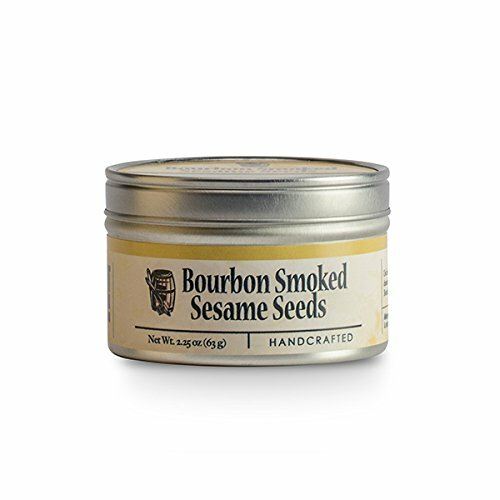 The slow smoking process boasts a rich earthy, nutty flavor, with delicate oak undertones that make Bourbon Smoked Sesame Seeds delicious on salads, breads and seasonings on meat and seafood. Add when seasoning meat and seafood! If you have any questions about this product by Bourbon Barrel Foods, contact us by completing and submitting the form below. If you are looking for a specif part number, please include it with your message.